The PT-RQ22K has been unveiled by Panasonic as the smallest and lightest on the market high-brightness projector. This team Solid Shine DLP 3-chip that delivers a greater than 4K resolution with the Quad Pixel Drive technology and a Real Motion Processor of 240 Hz. Panasonic He has announced the launch of the laser projector of phosphorus PT-RQ22K, a team that is integrated into its line designed for the Organization of live events, exhibitions, rental and permanent installations. Presented by the company as the smallest and light of the world, it offers a greater than 4 K resolution and has the same dimensions as the model PT-RZ21K WUXGA. This project Solid Shine 3-chip DLP is equipped with a unique technology of displacement of pixels, the RQ22K displays more pixels on screen than a 4K conventional laser projector, getting sharper images and a more immersive and real experience. 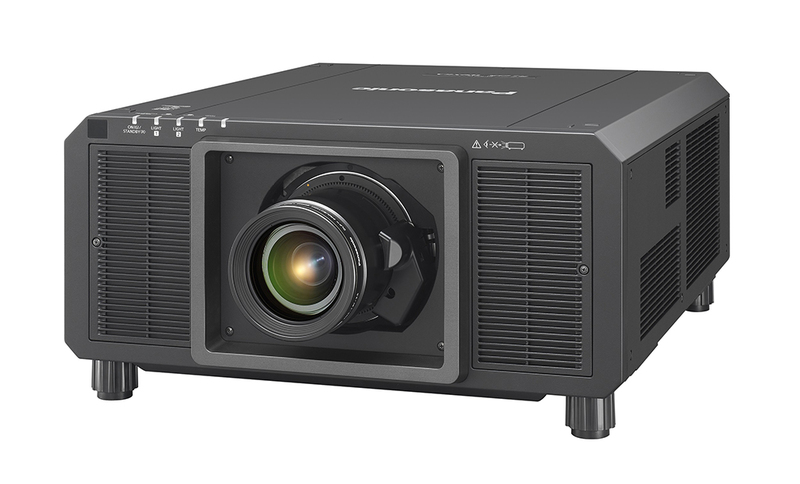 "The RQ22K is the answer to the demand of a projector 4 K + light and high brightness, with almost cinematic picture quality. It is suitable for difficult conditions as, for example, in very limited space environments. We have developed a visualization system of last generation that include Quad Pixel Drive technology and a Real Motion Processor of 240 Hz. "So you get images extremely sharp and defined, allowing those working in creative disciplines to record scenes in motion unless the image is out of focus or moved", explains Hartmut Kulessa, European Marketing director of Panasonic. Designed to work where it is essential to achieve high reliability, the PT-RQ22K uses a dual light and allows you to change instantly to a secondary video signal, in the event of failure of the main source. Heat resistant phosphorous wheels and laser modules offer images of high current 4 K + with industry-leading high brightness, contrast and precision. Also incorporates the standard colour BT.2020 and allows you to play videos in format HDR premium. "The RQ22K incorporates the same compact structure that the RZ21K, so it can use the same boxes and objectives. This makes the transition to 4K cheaper. Protecting the optical engine with a cooling system heat ducts and eliminating the need for an air filter, the projector can function without maintenance during periods of time very long, even in dusty environments", adds Hartmut Kulessa. PT-RQ22K Digital Link 4K based on a single cable connection and is compatible with the interface card 12 G-SDI recently released ET-MDN12G10, as well as with the range of objectives 3-chip DLP Panasonic.